My Style Coaching clients and myself are busy femmes, and we need items that can mix and match with many times in our wardrobe, as well as items that can easily go from day to night. When you have versatile clothing pieces, there’s no need for a complete outfit change after a day at work or a day with the kiddos! 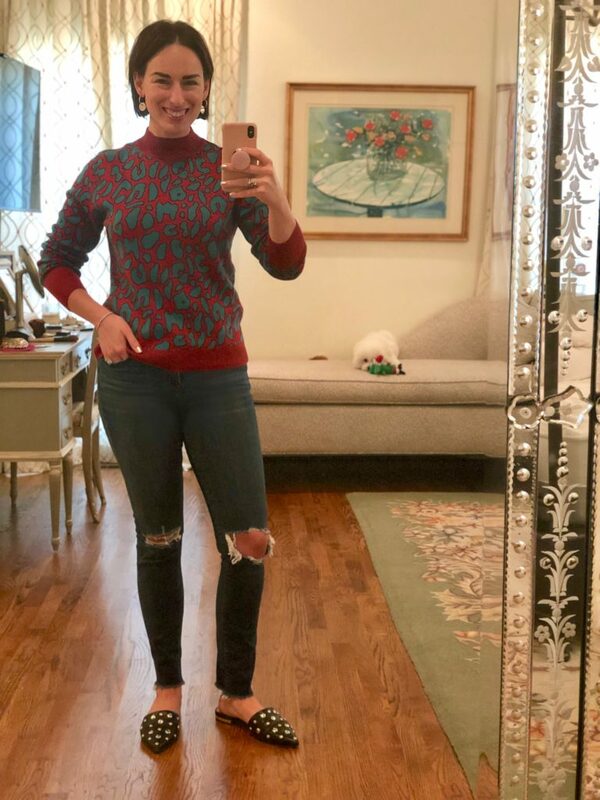 I want to show you how I took one of my favorite sweaters from a day with a client to dinner with my husband so that you, too, can try this with your own wardrobe. When working with a client I need to be able to move and groove as I’m often sitting on the floor of a closet or running around a department store. 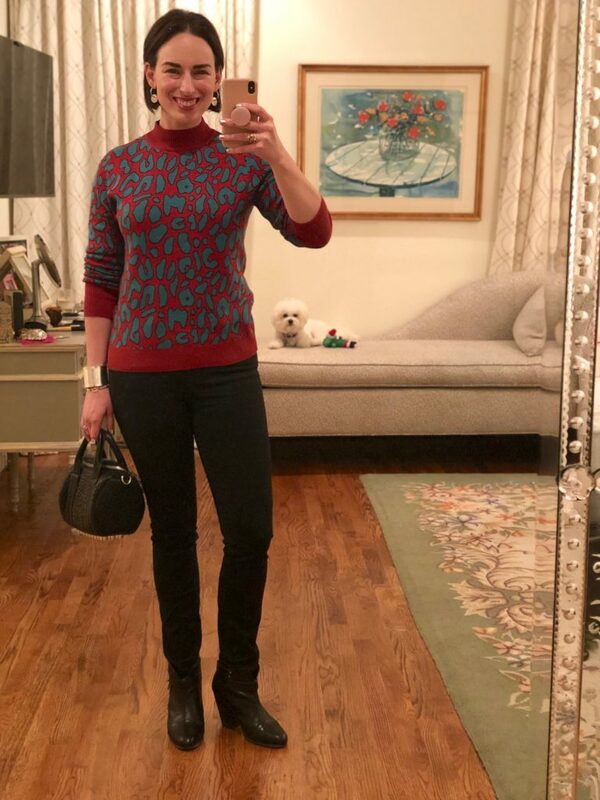 I selected this colorful, fun, animal print sweater (that has a silver metallic thread woven throughout). As for day, it’s great paired with distressed, more casual denim, and silver accented black mules. To make the switch from casual to dressy casual, I simply changed my jeans to a dressier pair (black skinny jeans) and then switched from flats to a stacked heel black bootie. The finishing touches that pull the outfit together are adding a silver cuff, a small black top handle purse with silver details and some rose YSL lipstick. 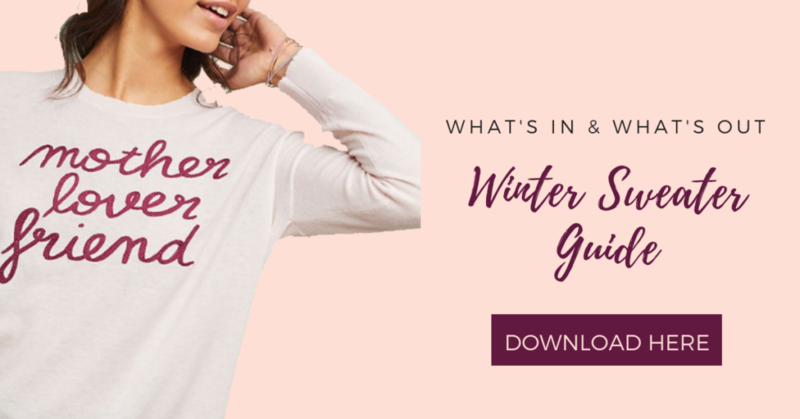 Make sure your sweaters are current by downloading my FREE Winter Sweater guide HERE (or click the image below). This style guide will show you exactly what is dated and what is current in terms of sweaters for this season!